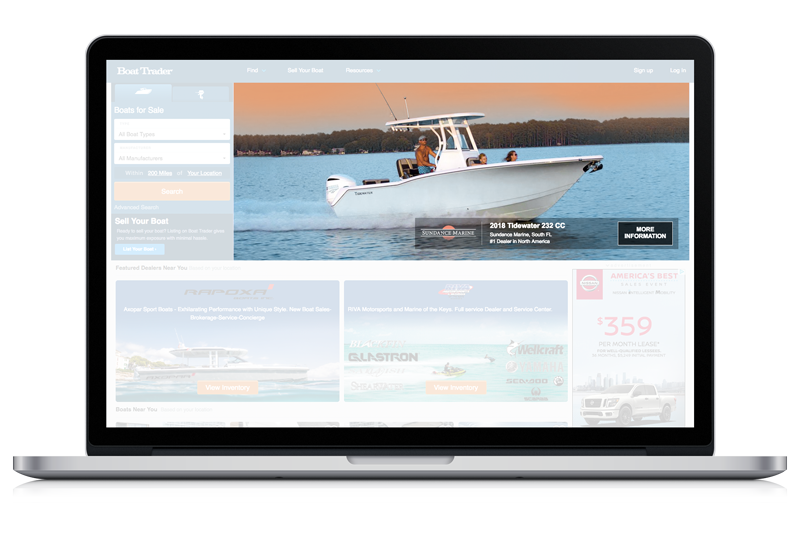 Boat Trader delivers more boat buyers to dealers than any other advertising source in America. 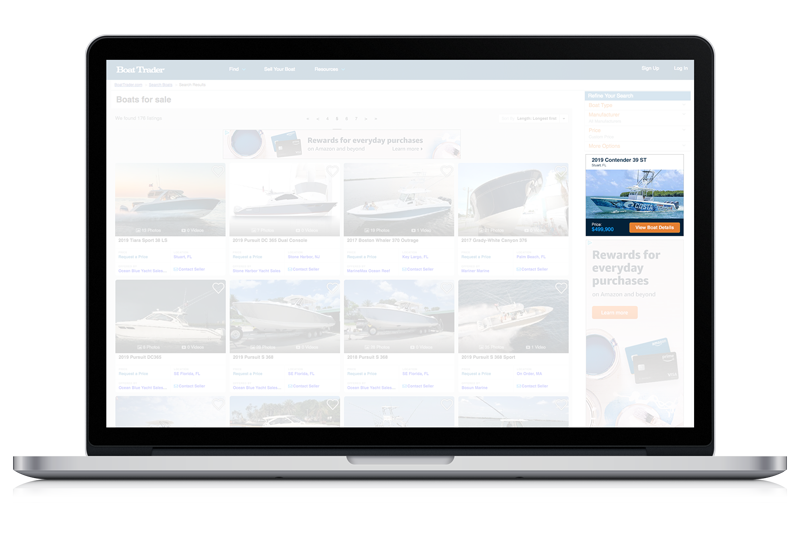 With the highest consumer interest for boats under 40 feet, Boat Trader reaches 6 million boat shoppers each month. 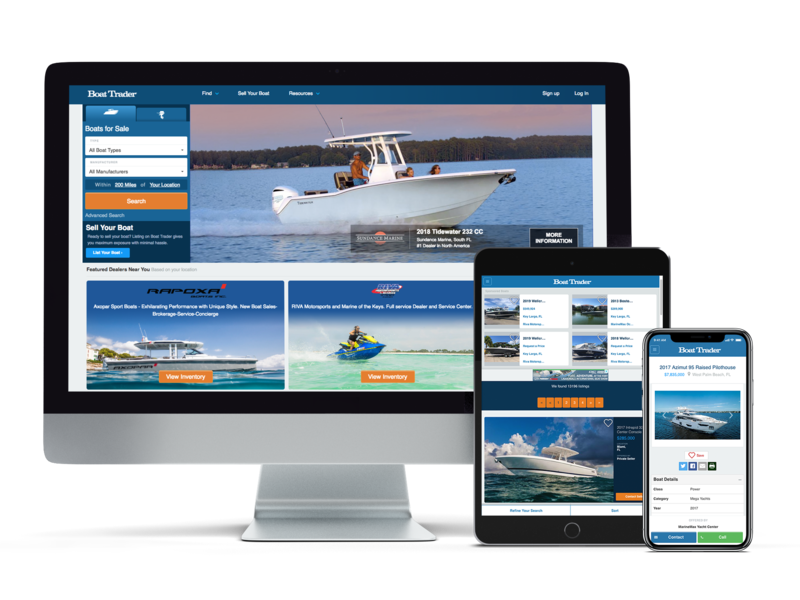 We deliver more leads than any other source – over 75,000 leads each month – of which, 1 in 5 ultimately purchases a boat. Be the brand on the Boat Trader homepage. 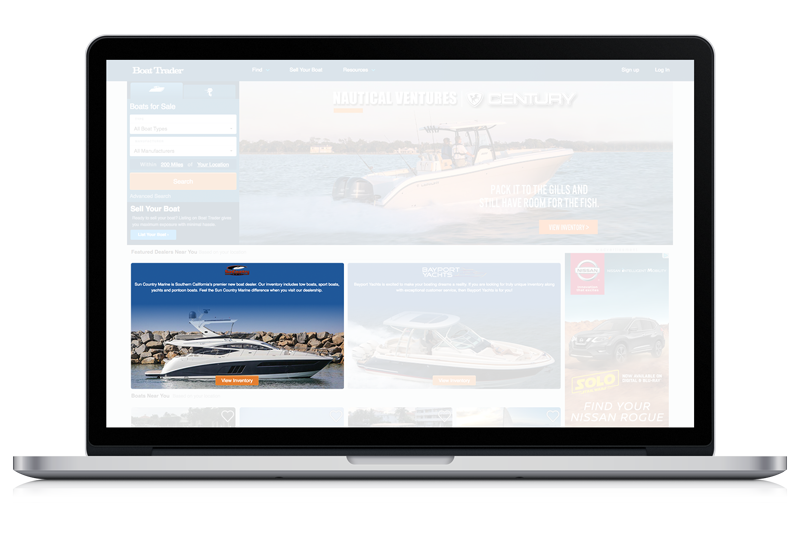 Your dealership on the homepage of Boat Trader. 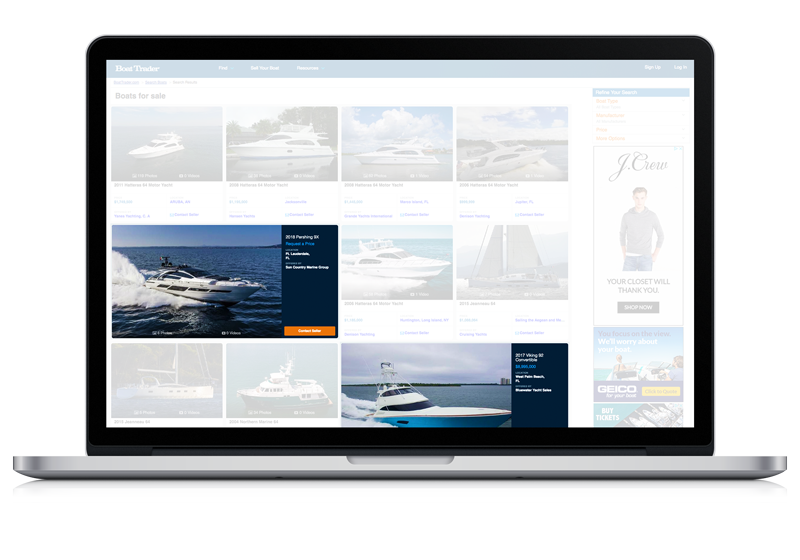 Top placement on Boat Trader’s most popular pages. 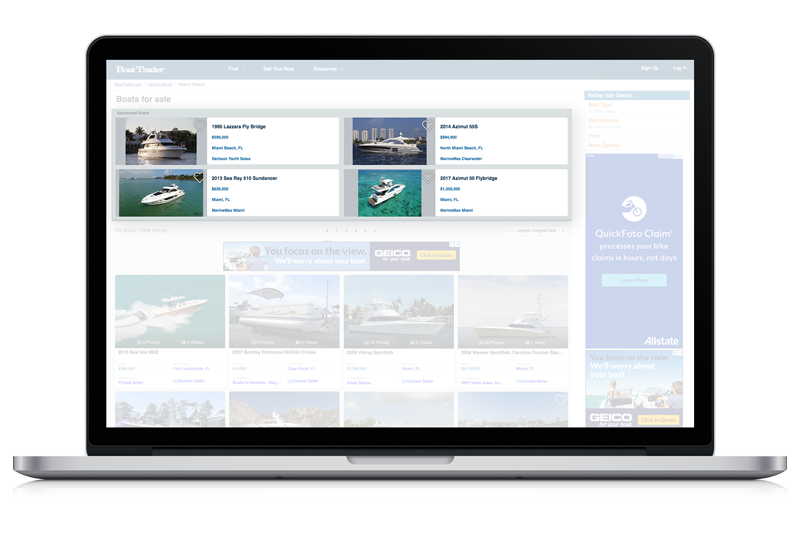 Increase listing size and activity. Be the dealer of choice in your market. • Get 100,000 monthly impressions.